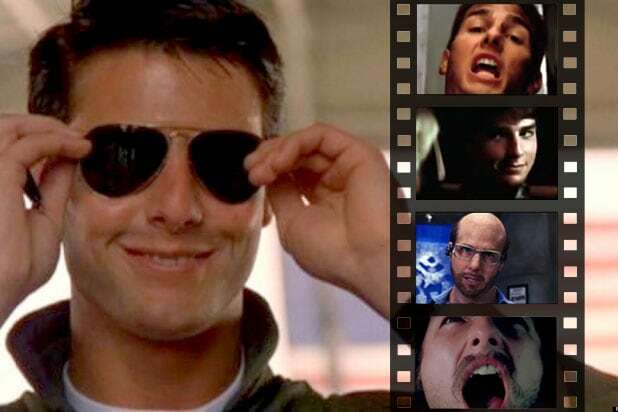 Tom Cruise is a national treasure. Competing with a sea of foreign actors ranging from Tom Hardy and Henry Cavill to Michael Fassbender and Christian Bale, Cruise is one of the last American Movie Stars still standing — which also seems to be the one thing he never does in the “Mission: Impossible” franchise. He’s constantly in motion, whether he’s running for his life, climbing the Burj Khalifa or flying on the outside of an airplane. With the release of “Mission: Impossible: Rogue Nation” this weekend, TheWrap decided to take a look back at Cruise’s incredible 34-year career and highlight his most memorable lines of dialogue. Join us for a trip down memory lane — on Cruise control, if you will. And if there’s a classic Cruise zinger we missed, let us know in the comments section below. No one writes for Tom Cruise like Cameron Crowe, who served up a screenplay full of classic one-liners that allowed Cruise to prove he was at the peak of his powers in 1996. You could say anything, but we say they complete each other. It takes two to tango, and there’s no better dance partner than Jack Nicholson. Coming to set armed for battle with an Aaron Sorkin script doesn’t hurt either. Nicholson’s half of the exchange continues to endure, but Cruise’s role in this classic courtroom scene is often overlooked and underappreciated. C’mon Iceman, have a heart for this little ditty, which gets bonus points for rhyming. Who hasn’t said this while passing an old lady on the freeway? Cruise is all grown up as Frank T.J. Mackey, a magnetic motivational speaker who empowers men to take what they want from women. Cruise went out on a limb to take a chance on Paul Thomas Anderson and it paid off with his third and most recent Oscar nomination back in 1999. Action heroes have to speak in short bursts and make their words count. They don’t have time to make long speeches, as they’re too busy saving the world from one disaster or another. Cruise made saving the world look effortless in these two mid-’90s efforts. Other than Al Pacino and (maybe) Nicolas Cage, is there anyone you’d rather watch scream/shout/yell than Tom Cruise? He has it down to a science, whether he’s missing his legs or his face. Cruise played a supporting role in Ben Stiller‘s “Tropic Thunder” and disappeared into the character of Les Grossman, a powerful studio head with hair everywhere but his head. Cruise stole the show, so much so that Paramount developed a spinoff movie for his character, though unfortunately, it never got the greenlight. Cruise makes a great upscale creep, whether he’s threatening to kill two cops or take a bite out of Christian Slater. Living or undead, there’s something primal about his performances, which are never less than 100 percent believable. Even in his lesser films, he’s always completely committed to his characters. 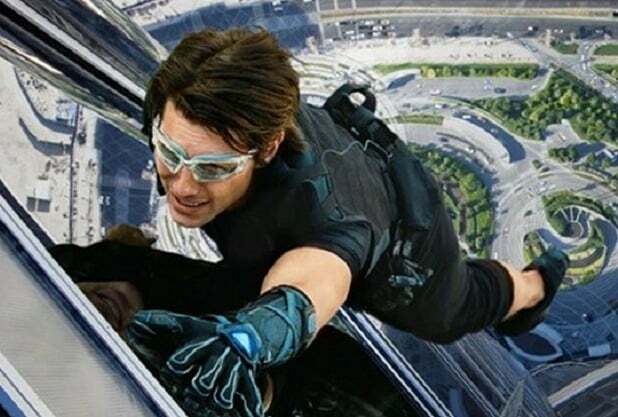 See Video: How on earth is Tom Cruise still alive after doing all his own stunts?